Now a day’s most of the people are concerned about the interior decoration of their home. Considering kitchen space for renovation is the best idea as this is the only place where you prepare food for your family members. 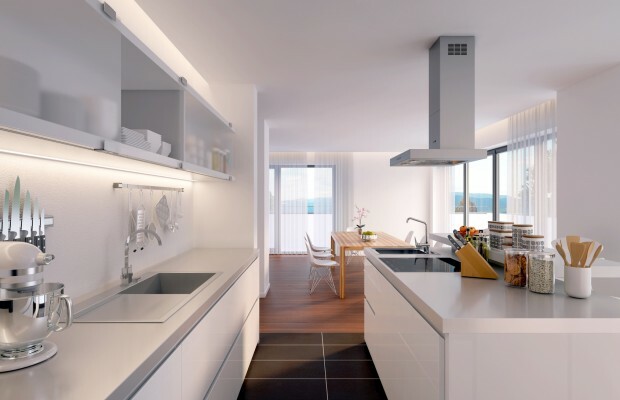 There are several important areas that you need to take into consideration before beginning to renovate your kitchen space. These include your needs and desires, sort of renovation you are looking for (deep down renovation or surface renovation) and if the entire work is at all worth the investment. If your kitchen is really a disaster where you hardly prepares the dinner for you and your family, then in that case you must visit kitchen showrooms for any kind of renovation. With the whole world at our fingertips, things have become more accessible. The creative ideas of marketers are within your reach. There are plenty of options when it comes to a kitchen showroom. They offer you a unique way of acquiring a lot of great ideas. A few modular kitchens are even functional which helps you get the actual personal feel of the model which you want. The online kitchen showrooms have a lot of features and benefits, offering you the chance to view hundreds of them without traveling and wasting your valuable time and gas. You can even compare the various layouts easily and their setups one beside the other. People can view kitchen showrooms online. This allows people with certain level of privacy. People cannot get pressurized by the sales person and keep on moving according to their choice. Offer ideas: The kitchen showroom offers a lot of ideas for renovation, hints and tips which you will find helpful over the course of time, especially when you plan to renovate the space all by yourself. The showroom kitchens generally display a lot of various kitchen models that you can choose from. You can even consult an expert or skilled person for home renovation and designing your kitchen. You need not necessarily need to hire a professional contractor straight from the showroom in order to assist you. You can merely use the ideas according to the method which suits you best. Offers may discounts, vouchers: You also need to consider the fact that kitchen showrooms can allow you to save some cash on the overall project of renovation. Now a day’s most of the companies also provide some discount or gift vouchers that attract many customers. Make sure that you look for various promotional offers, discounts and vouchers as might be applicable. It can allow you to save some money. After all, you need not pay the price in full when you may pay less for the product and get better price quality relationship. The kitchen showroom displays a wide variation of appliances and cabinetry in case you have decided to completely renovate and redecorate your kitchen. Another important consideration which makes the showrooms useful in case you are planning to go for a renovation is that a lot of them offer complete remodeling services, and this is often accompanied with financing. In other terms, a few companies can lend you the cash that you might need for carrying out the kitchen renovation task in case you are lacking in the required financial resources. This is an exceptional service considering the fact that a lot of people are still coming to terms with the recession. These are a few reasons why kitchen showrooms are practical and useful alternatives if you want some original and unique ideas about kitchen renovation. You need not spend a fortune. Most innovative options are just a click away!